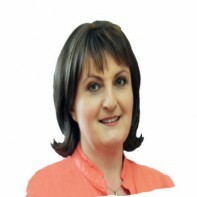 Caroline Forde is a 41 year old working mother with two children. She lives in Cavan Town where she settled in 1996 having previously worked for seven years in London during the last recession. Forde works for Quinn Insurance. Caroline joined the staff of Quinn Insurance Ltd in 1997 where she now works as a Regional Claims Manager.